Do you want to generate a QR code? Follow our simple guide below. In the first part we look at what a QR code is, and in the second part you will learn how to generate your own QR code. We have also added a bonus section on how to effectively use QR codes. In plain english a QR code is much like a barcode, it contains information that can be scanned. You can scan it with your smartphone or tablet and it will take you to a webpage, coupon code, link for an app, or another digital link. 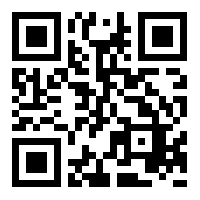 Scanning this QR code will lead you to our own home page. Give it a try! We will walk through the process of how we generated this QR code. A quick Google search will reveal a few free QR code generators. We don’t favour any specific one, you can use whatever you are most comfortable with. The choice is up to you. Look for one that is easy to use, and best suits your own needs. We will be using The QR Code Generator for this example. The first thing you will do is select the type of content you are promoting. There will be options such as URL, text, Email, and more. We are simply creating a link, so will select “URL”. You can then enter the link to the specific page you wish to link to. In our case it was https://bluebeancreations.co.za. The QR code is then automatically generated on the right hand side. You can right click and “save image as”. You now have your QR code and you are ready to paste it everywhere. But wait! Don’t rush out just yet. Step 4: Test, and test again. You probably already own a QR code scanner on your phone, we recommend downloading another one. Test your new QR code with both the scanners and make sure you land up where you need your users to be. We have covered the basics of QR codes above. Once you have delved into it there are a few more things you can do. You can customise your QR codes in some of the generators above, adding borders, changing the format, changing colours, and some such as https://www.qr-code-generator.com/ even allow you to add your logo, all in the free version. Our favourite step and tool. Test. Analyse. Adjust. How much traffic are you getting from your QR code? If you add a logo, or border, what happens to your code then? What actions do people that scan your page take once they arrive there? You can follow your success through your analytics page if you are being led to very specific landing pages, or make use of a UTM tracker through Google analytics. There are a number of things that you can do to maximise the use of your QR codes. Here are a few that we recommend you take note of. Your pages must be highly optimised for mobile. QR codes are scanned from a mobile device so make sure that wherever you are leading them too, that landing page works well on mobile. QR codes should not be generated just for the sake of it. The code we made above will likely never be scanned, and that is ok. It was not the purpose of it. QR codes work on flyers and brochures, or in magazines, where it is easy to scan a QR code, rather than going through a process of typing a web address and searching a very specific topic on that website. Optimise the use of your QR codes and they will become effective. It is easy to type your home page, so why lead people there? You could be offering a 10% discount, have the QR go directly to that page. People no longer just clicks links. How will you get them to follow through? How about a beautiful full page magazine advert, describing your services? In the copy it says that readers of the magazine will get a 10% discount on day fees if they go through the QR code below. They might not follow through, but at least you have given a call-to-action of some sort. Note: you could also give a code which people can enter into your contact form which will also make them legible for the discount. Give people a reason to scan your code. Why will our QR code above never be scanned? It isn’t easy to use. You need two devices just to be able to scan it. Place your QR codes in places that are easy to use and you will begin to see results. QR codes are not the be all of website links. You can easily use a URL shortener (Google provide a free one HERE) to make your links easier to fill in. The same rules will apply from above. Of course with a URL shortener people are still able to easily fill in the URL into their desktop browser. In our opinion neither provides a smoking gun, but rather a mixture of the two, optimised for different use, seems a much better option to make the most out of your marketing.